look out of place running skinny rubber. A “*” means bought new. 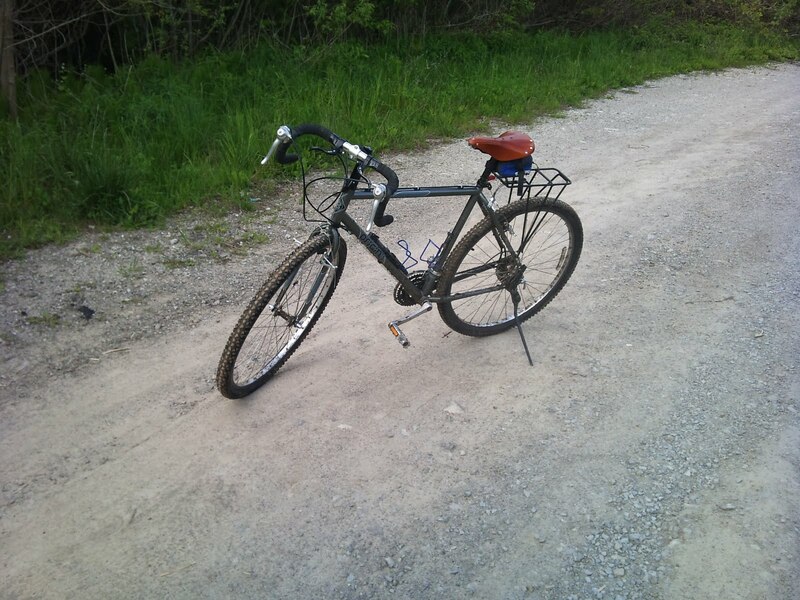 All other parts are scavenged from my other bike. I must say that I am *very* pleasantly surprised at how well this new bike handles, and with the overall quality of the budget-conscious build. As I ripped almost all the parts from my previous “main” bike, the total build cost came in at $428 CAD, all told. Thats actually $28 over what I wanted to spend, but oh well; I wasn’t about to reuse my a 17-year-old bottom bracket and grind the old front derailleur to 31.8 clamp dia. The Origin 8 frame was a big surprise for me – it is a relatively new offering, not like the tried-and-true Surly Cross Check or LHT. But, without taking risks, I would have been missing out on something great. What makes this frame a better all-rounder base is the extra-wide clearance for up to 2.3″ 29er tyres, which is substantial considering the ~ 42mm tyre limit for the LHT. The specs for the Origin 8 clearly said “Fits 2.1″ tyres”, but they lied, because there is quite a bit more room to shove in a larger tyre. With my 2.1″s on, there seems to be just enough room to install a fender, albeit tightly. probably can squeeze in a 2.3″, if you don’t need fenders. What I also like about this frame is the thoughtful lay-out of the rack mounting points. 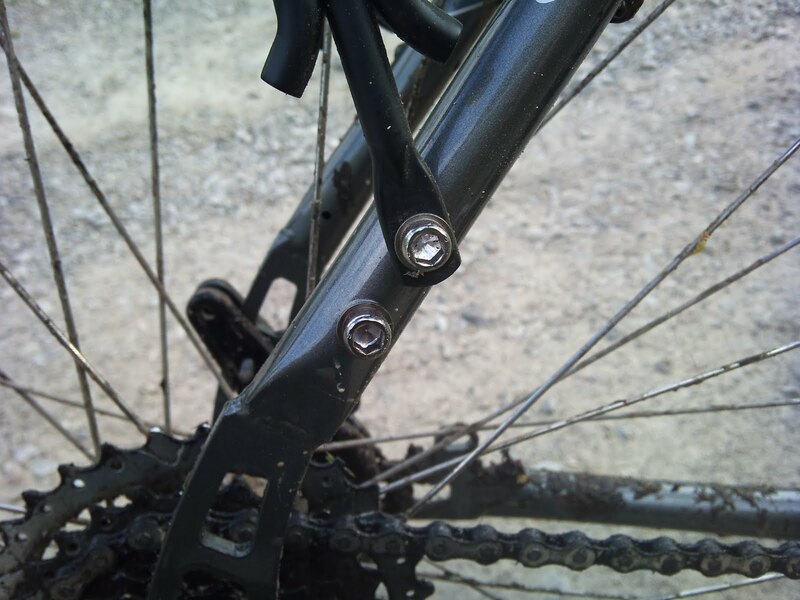 On the rear, they are placed high above the dropout, in the seatstay, which allows standard racks to be used with the over-sized 29er tyres by giving extra clearance. They also provide a helluva lotta heel room; about 3″ more to my pannier bags as compared to my old bike. Oh, and this layout also allows the unimpeded use of disk brakes on the rear. The only problem is that there is slightly less space to strap things to to top of the rack, as there is less room between my seat and the rack’s deck. Rack and fender mounts are up and forward, in the seatstay. 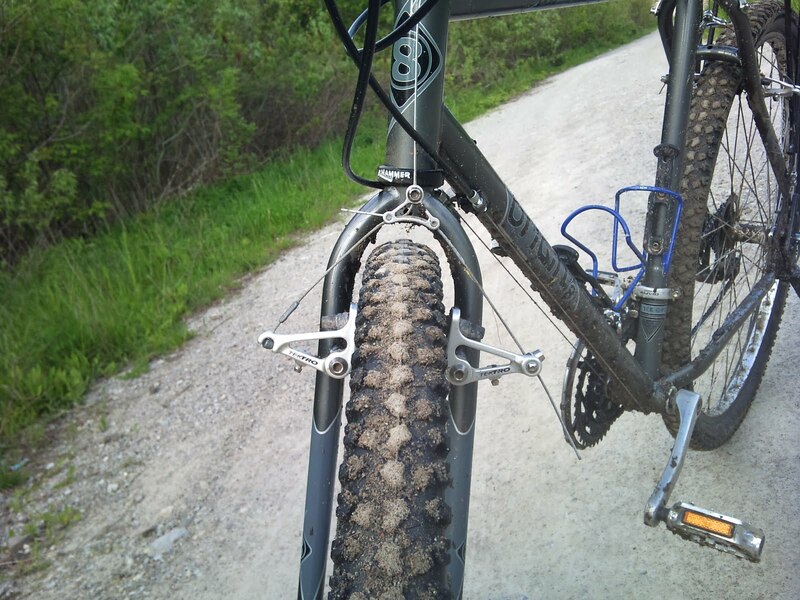 As for the frame weight: For a $165 steel frame, its pretty good. The weight of the 56cm frame and fork(uncut) together totaled 3.1 kgs, or 6.8 lbs (measured on fairly accurate digital scale). However, these numbers mean nothing without a frame of reference, which I will provide: the equivalent Surly CC weights 7.07 lbs frame+fork, the LHT weights 7.3 lbs, and the only truly off-roadeable frame, the Karate Monkey, weighs in at a good 8.1 lbs. Salsa’s “Fargo” is also slightly heavier for the same size; 7 lbs 14 oz (~3.5 kg), according to their website. So, is my frame a “lightweight”? No. But it is a decent weight, and beats out some of the brand name frames and forks, for under half the price. 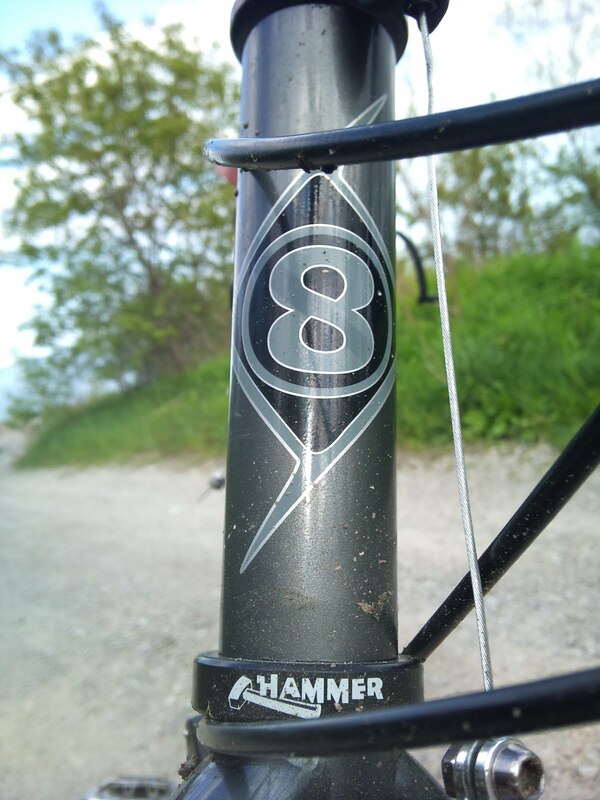 To have a 29er – im pretty pshyched. 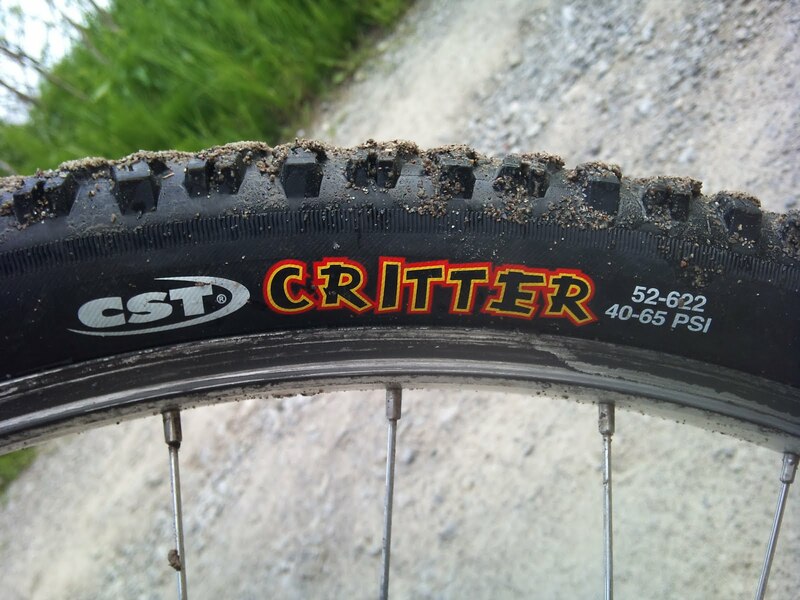 The CST Critter tyres are dirt cheap; I found a pair for under $25. 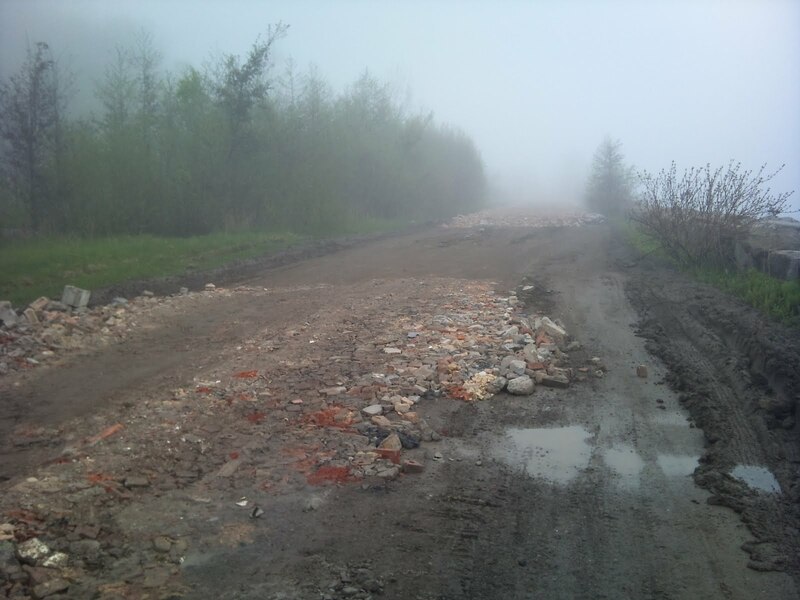 They are pretty puncture resistant, as I’ve ridden over nails/ construction rubble and no problems have reared their ugly heads. 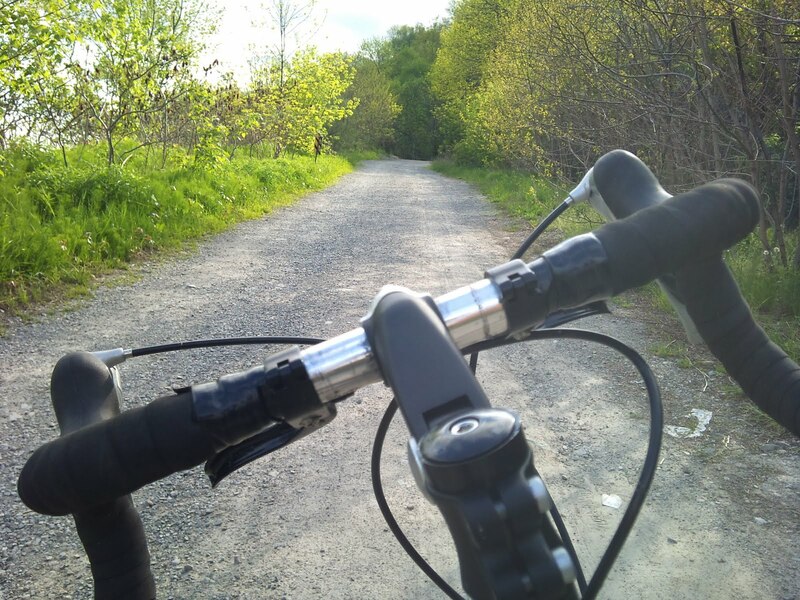 The rolling resistance is definitely higher than I’m used to, what with my road tyres, but they off-road and mud/dirt traction is amazing (to me at least). 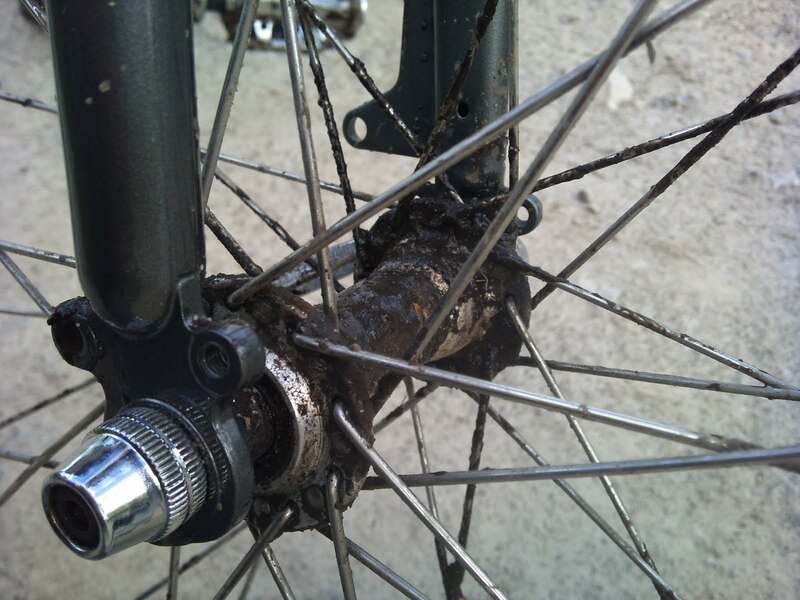 No comparison can be made to any tyre under 45mm wide, if only for a 29er’s ability to “float” in the muddier bits, as opposed to getting bogged down (as with my skinnier tyres!). More testing to be done, but so far, thumbs up on traction in most regular conditions; seek a tyre with greater volume and more aggressive knobs for the very soft stuff, or mud, but otherwise a very good all-round 29er tyre. 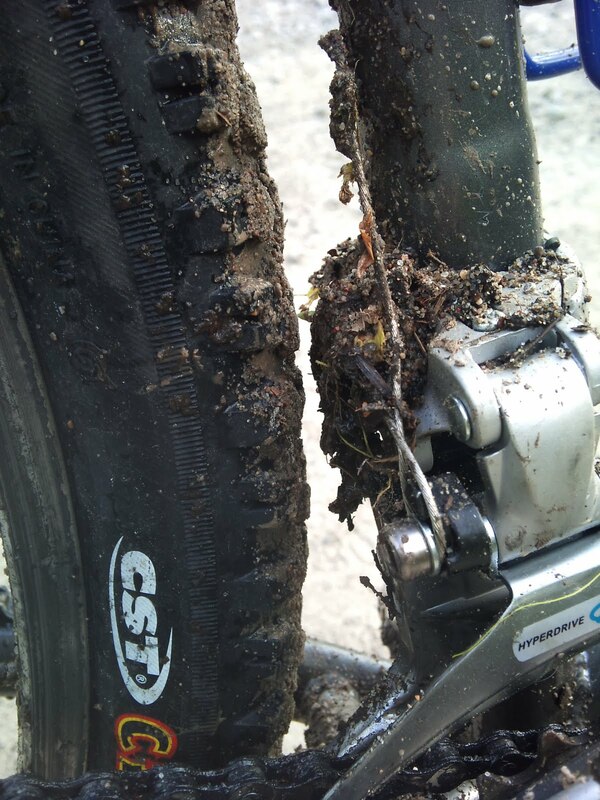 Schwalbe “Big Apples” or similar might be warranted for lighter off-road riding, or just light gravel use, as the rolling resistance of the Critters could be a “drag” for long distances. Hi there, Urban Explorer…just bumped into. Today I ordered a CX700 frameset online and looking to its arrival later this month. 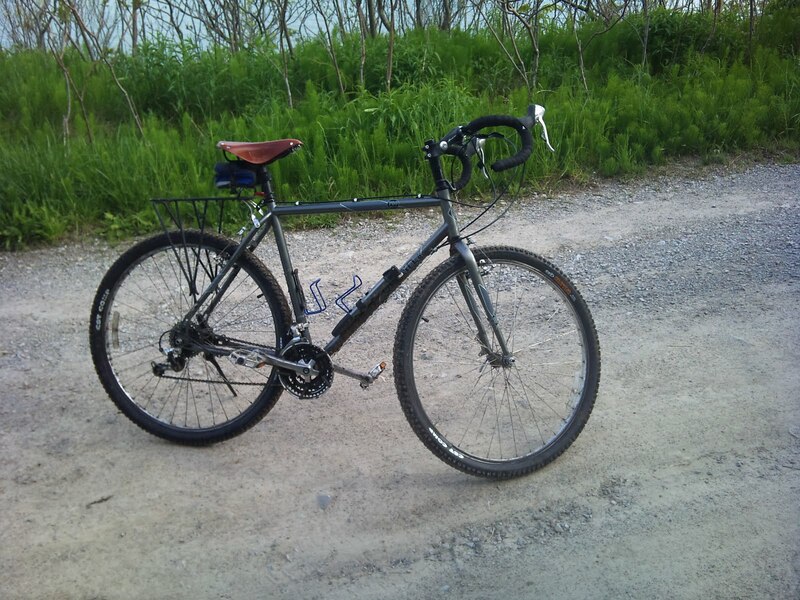 I had been hunting for an affordable steel frameset for my 2013 all-rounder bike. 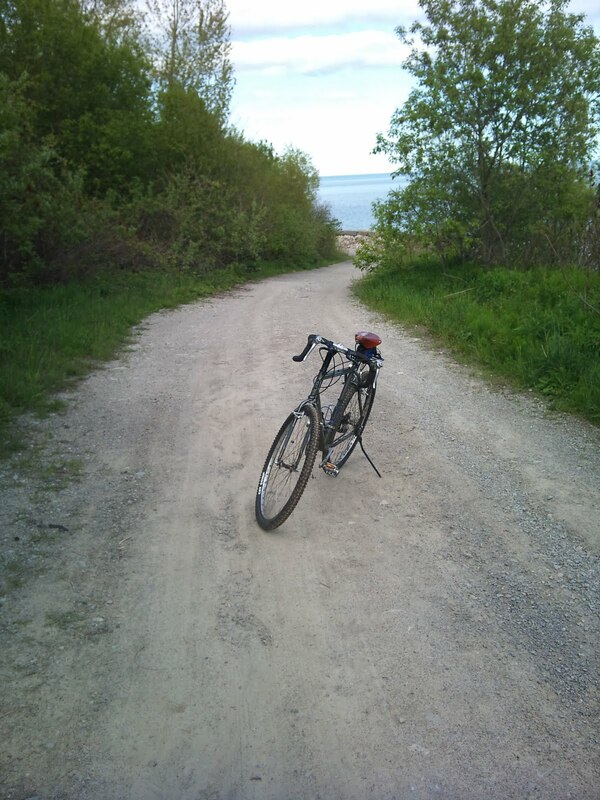 Your build looks cool and I envisage myself doing some loaded touring aside from my routine work commute and weekend country rides…Cheers!!! Glad to hear I helped. I suppose that the model you bought is the new 2012/2013 model? It’s my understanding that they have improved some things for the new model and lightened it further. Let me know how you your build goes!